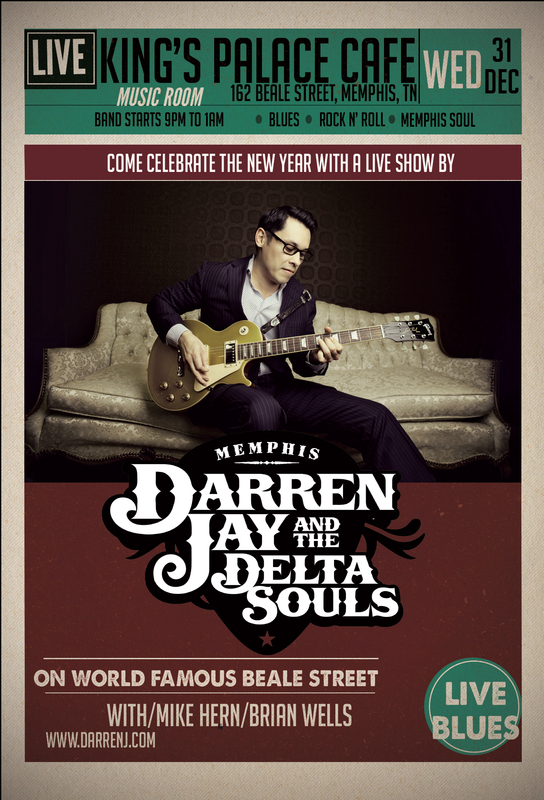 Darren Jay, Blues music online, Memphis blues, music in Memphis. 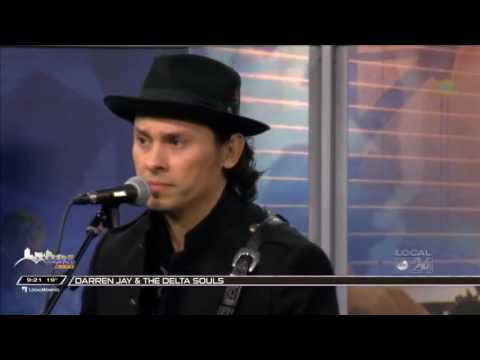 Now this guy right here is a bad mofo! So guess who I ran into? 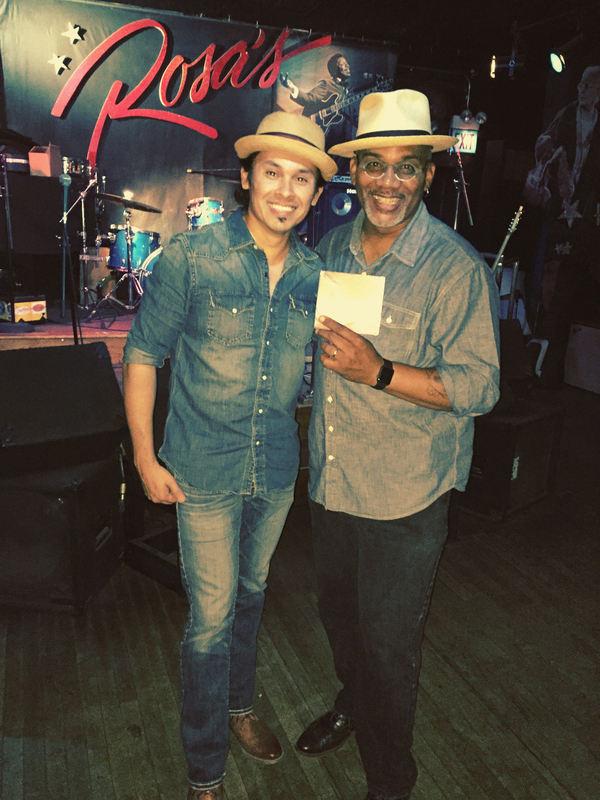 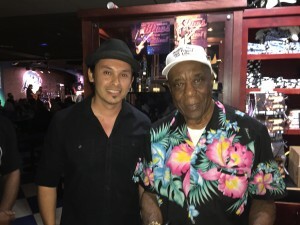 Darren Jay and Buddy Guy at Legends in Chicago. 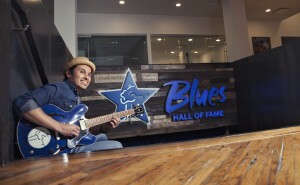 I am extremely proud of taking part of the Memphis Travel Bureau Blues Hall of Fame photo shoot that was taken on location by the talented Lisa Mac! 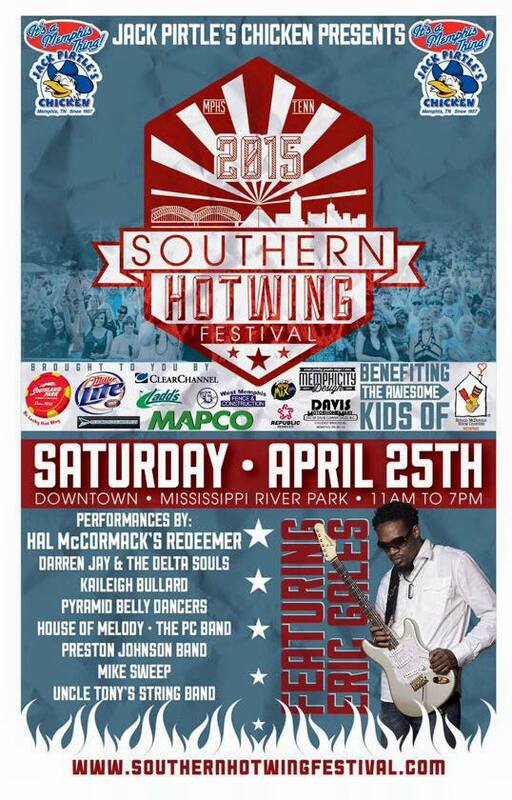 Catch Darren Jay and The Delta Souls live at the Jack Pirtle stage (Southern Hotwing Festival) Saturday April 25, 2014 from 1130-1230. 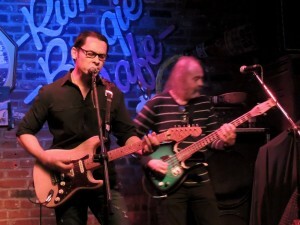 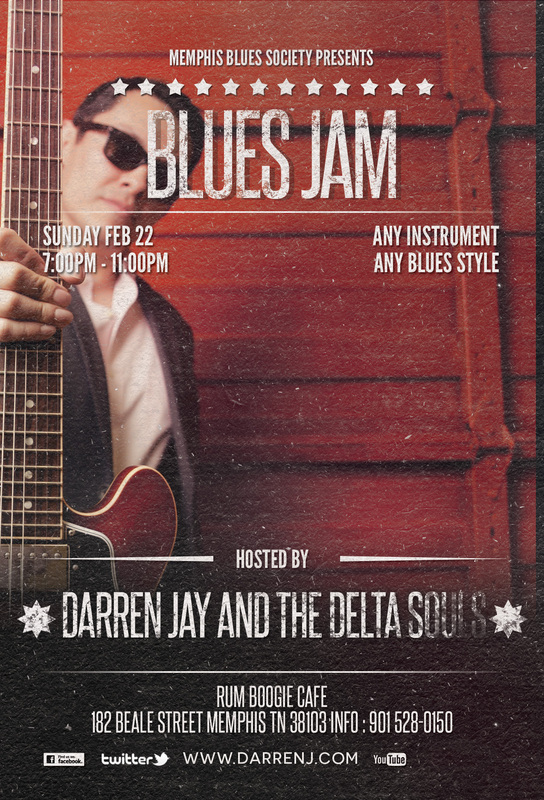 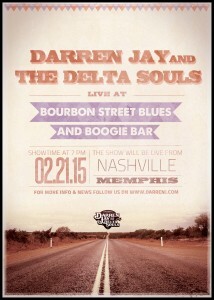 Darren Jay and The Delta Souls hosting Memphis Blues Society Blues Jam at Rum Boogie Cafe. 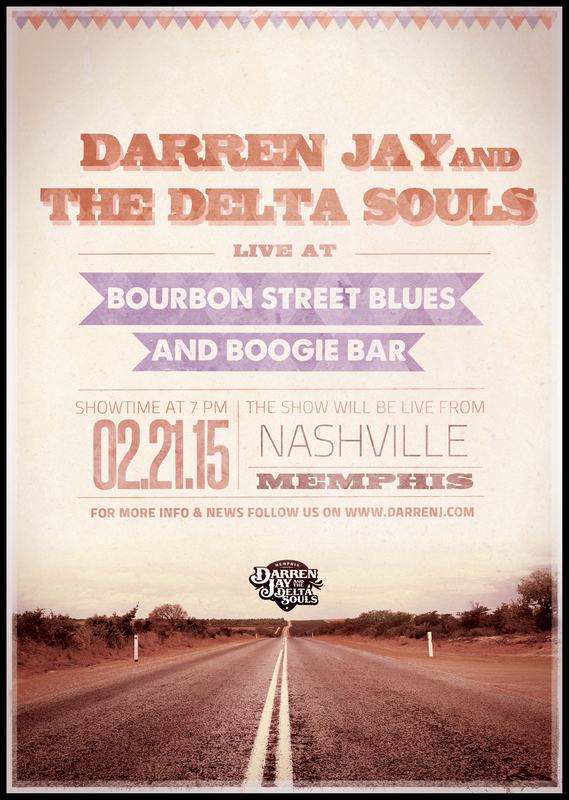 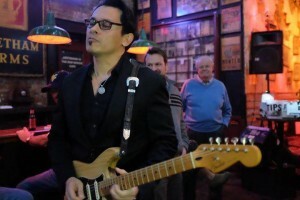 Darren Jay and The Delta Souls will be live at Bourbon Street Blues and Boogie Bar in Nashville on Saturday February 21. Come and see us tonight at the Huey’s Downtown Memphis from 8-12. 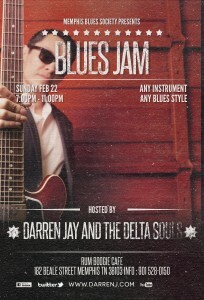 Some great food and blues! 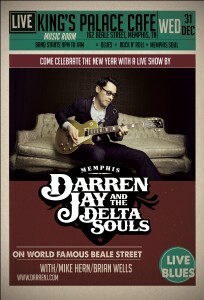 Darren Jay and the Delta Souls at Kings Palace Cafe New Years Eve.